Back in October Chuck Rathmann talked about research into BI implementations, and how typically 70 percent of the time they fail to realize the expectations that have been set around retrieving the data and presenting it in a format that can be readily used by the business. 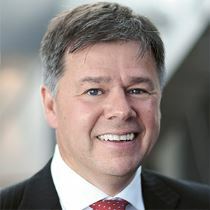 And in a blog posted in September, Visionwaves BV mentioned how the only way to make better and faster decisions for the business is to start adding OI capabilities to BI for faster and better decision-making on real-time operations. Well, we are extremely pleased to tell you about some of the developments that one of our major energy production customers has achieved with corporate performance management (CPM) over the last six months. Within IFS Applications, OI is delivered through the IFS Corporate Performance Management component. This is so much more than business intelligence (BI), this is a model driven approach to blending OI and BI technologies combining the benefits of data and processes in real time to create continuous situational awareness. For example, as the system alerts you to a trigger or input parameter change to your critical business process, how do you want to react and what are the consequences of your reactions? What our customer has done in a relatively short period of time is modeled the strategic vision of the organization. And via user/role defined cockpits, decisions can be made and executed all in one go. Specifically, what-if type scenarios can be triggered. 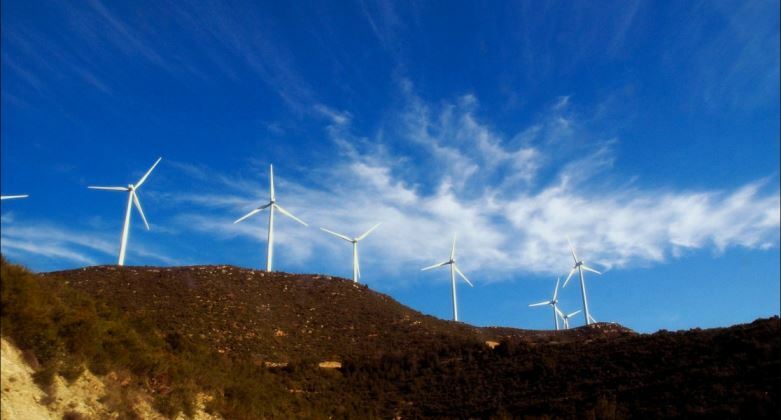 What happens if the price or quality of the raw material coming into the power station changes, what is the effect of a change in selling price to profitability and the generation break-even point. Because this analysis is automatically enabled within the CPM solution, analysis that was previously done just a few times a year in a very manual way can now be transacted as often as needed. Rather than thinking that OI is an alternative to BI, it is helpful to see it as complementary. There are countless ways that OI can make a company more efficient, productive, and agile. Operational intelligence helps you take advantage of new categories of real-time data. And the more time can be reduced between an event and the decision, the more competitive organizations become. 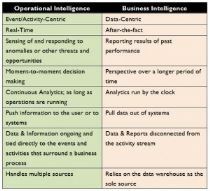 This chart outlines the differences between operational intelligence (O) and business intelligence (BI). The difficulty of adding new sources, asking new questions of the data and putting it in context in real-time is too much for BI. Although well-equipped for analytics and performance management capabilities, BI is simply is not designed for real-time events, alerts and processes. It is here that OI comes in. The above table illustrates the differences. Operational Intelligence is further described in a Whitepaper from our partner Visionwaves, Read the whitepaper ‘Operational Intelligence: What you should know’ to see the benefits.